View cart “Nylon Center Bushing- will fit 1.75″, 2.0″, and 2.65″ ID springs” has been added to your cart. The Center Bearing or also called a radial flange bearing, is usually inside one of the torsion springs to keep the torsion bar from getting cut by the center bracket and from hitting or rubbing the springs as the door operates. They also are the bearing used in the end bearing plates. 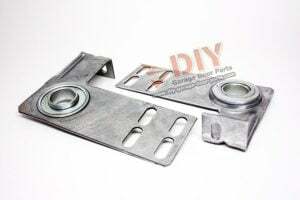 The bearings can be punched out and replaced with these instead of purchasing new end bearing plates. These flange bearings have a 45,000 cycle rating with a capacity of 400 lbs. We are extremely proud to say that all Center Bearing available from DIY Garage Door Parts are made right here in the good old United States. We understand that supporting American Manufacturers is a cornerstone to having a healthy economy here at home. We offer a quality American Made product at a very reasonable price then back it up with an outstanding warranty. Just a couple of really good reasons to choose our family owned company to order your garage door center bearings from online. 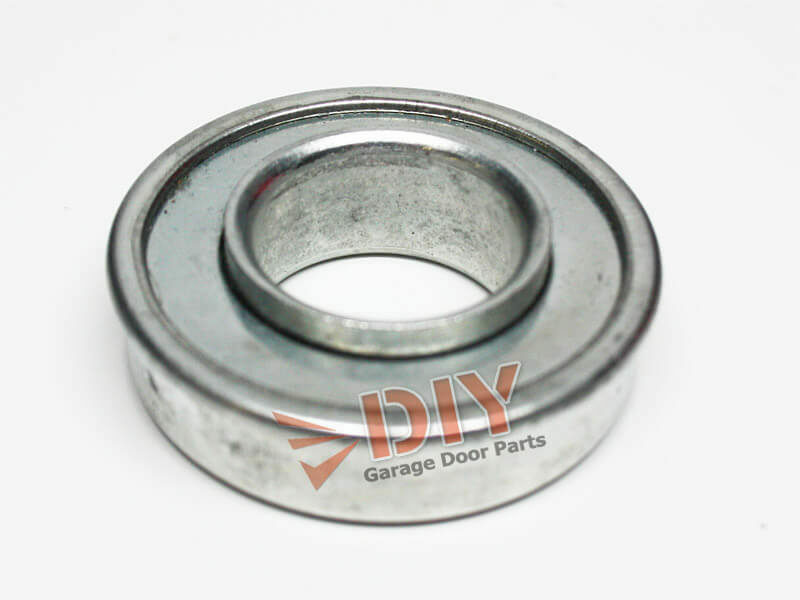 Here at DIY Garage Door Parts, we understand that if you are looking to buy a new garage door center bearing then odds are that you have one that is ALREADY broken! This means that your cars are either being held hostage or that you are manually lifting your garage door instead of pushing a button and the garage door opens like it is supposed to. In most cases our orders go out either the SAME DAY or if placed in the evening then they go out NEXT DAY. We also offer the full spectrum of expedited quick ship options available via UPS. 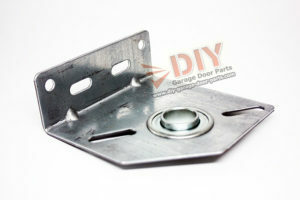 That means if you are willing to spend the money for next day air to get your replacement garage door center bearing . . . you can. It’s your choice just like it should be! Just one more good reason to choose DIY Garage Door Parts to buy a USA made Replacement Garage Door Center Bearing. The product replacement was exact fit and work out very well. High quality steel bearing for under $3. Are you kidding me!! My old bearing was plastic. Awesome parts at great prices. Shipping was as fast as it could be for the price! Product was spot on. i feel good after taking kyle’s recommendation to install steel bearing instead of oem plastic. i will rest easier. Steel bearing a good idea when replacing springs door is quiet and smooth. I took the advice given in the online video and ordered the quality bearing, which fit exacly and should give years of service. Makes sense to replace a plastic part with a longer lasting steel bearing. The difference in cost is minimal. The DIY video is excellent! Watched the video, followed the instructions. Saved lots of money by replacing the torsion springs, bearings myself. They even went to the trouble to place the bearings into the springs and tape them in place so I would be sure to mount them correctly. You guys are AWESOME! Great parts and videos! Fast shipping!! Ordered a new Torsion spring, bearing and instalation bars from Kyle, he shipped my items very quickly, instalation was a breeze due to his online video, and now my garage door is better than new! Thanks for the great service, products, and saving me a ton of money by doing it myself!!!! I highly recomend DIY Garage door parts! Thanks again! Kyle Thanks for all your help, you and you videos where very helpful.. Though my first order was a small one, Kyle spent alot of time talking to me about proper installation and made sure I understood the tools tyo use and safety aspects of the repair. 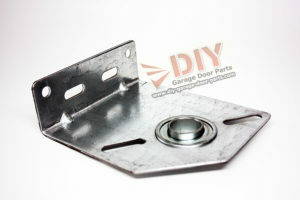 I will be using DYI Garage Door Parts for all of my future replacement and repair purchases. Very simple replacement and now I’m good for 15,000 more cycles. Mush better than the old plastic bearing.